potentially nervous: do we look cute like this? do we look cute like this? Not just cute -- totally adorable! 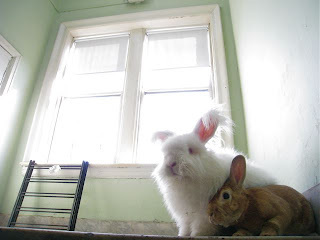 Furry, adorable, cute, posing buns. Do they always do their own art direction? Ummmm yep! Cute as can be. Come and check our blog. We have an award for u!